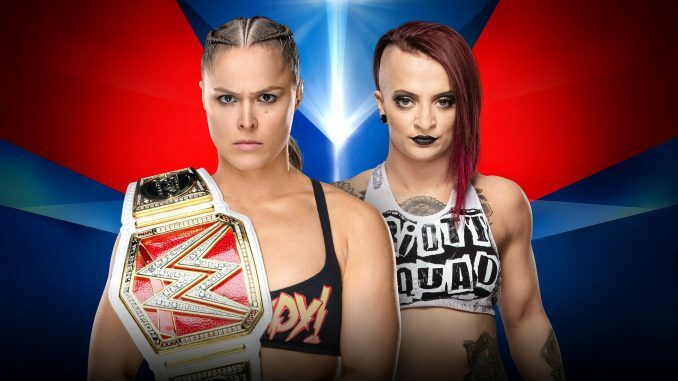 On Friday evening, the WWE announced that Ronda Rousey will be defending the Raw women's title against Ruby Riott at the Elimination Chamber card. On Friday evening, the WWE announced that Ronda Rousey will be defending the Raw women’s title against Ruby Riott at the Elimination Chamber card. The angle was set up this past Monday on Raw after Rousey defeated Liv Morgan and Sarah Logan in back-to-back matches with Riott leaving with her teammates instead of accepting Rousey’s challenge on the spot.